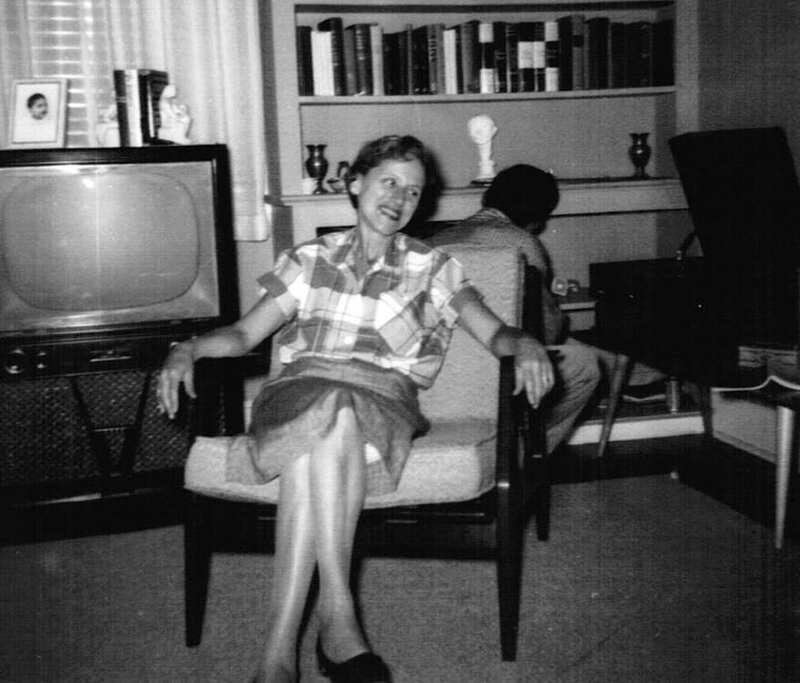 Looking at the photo I think of my little grandmother as a remixer. It came in an envelope of memories she share; the photo on the left of her was labeled “New Years Party” and I can only guess by her hair that maybe it was late 1980s or early 1990s. 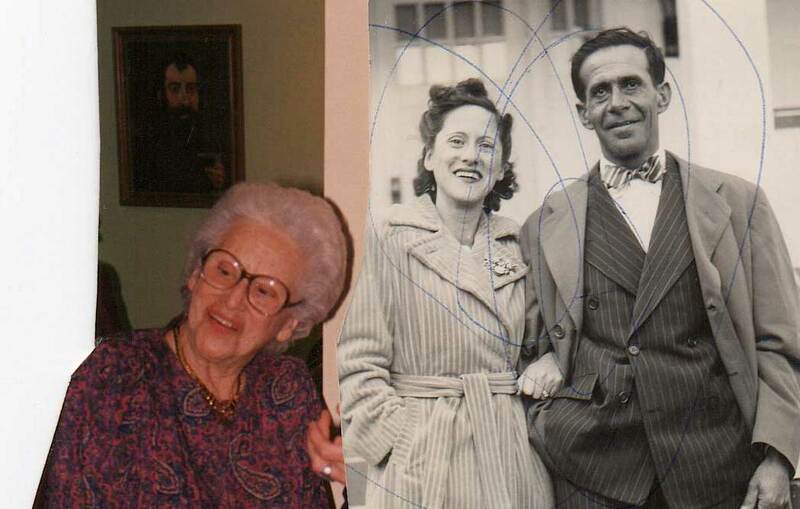 She had indicated on the right, with the pen circles was a photo of her and her husband, my grandfather Abraham, dated 1942. They were styling in dress, probably headed out for some social event. I am not sure if in 1942 they were still living in Newark, NJ. By my calculations, they would have been maybe 37 years old here? Today marks the day 13 years ago my grandmother finally faded out of this world, and I believe almost 98 years old. She had outlived all of her brothers and sisters, outlived her husband by 47 years, and even outlived both of her own children. I have the envelope this photo and a few others she sent to me; the postmark pinpoints it to December 1999. It maybe be the last letter I got from her. I am holding it, and looking at the effort it probably took her to write out. 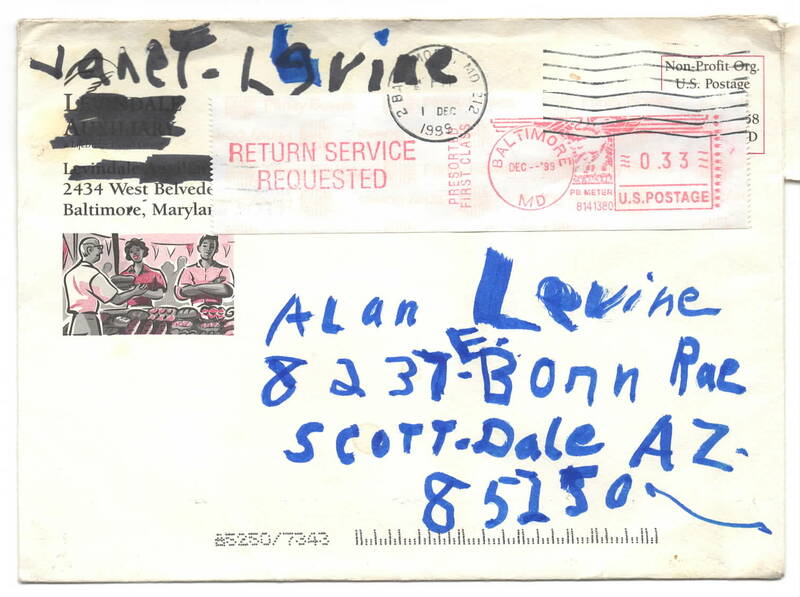 This is one of those things that you want to hug the post office for even being able to decipher it’s destination. I have the letter inside too; she says on page two “I am enclosing some of my treasured memories.” She knew how much I enjoyed hearing her stories of growing up in poverty, about her father the chess champion widower, about she and my grandfather’s lives in the first half of the 20th century. She knew from 1994 I was interested when I recorded on a micro-cassette her stories, which I now have digitized. This. I can listen to her voice from the past talking to me now. Her sing song lilting voice. 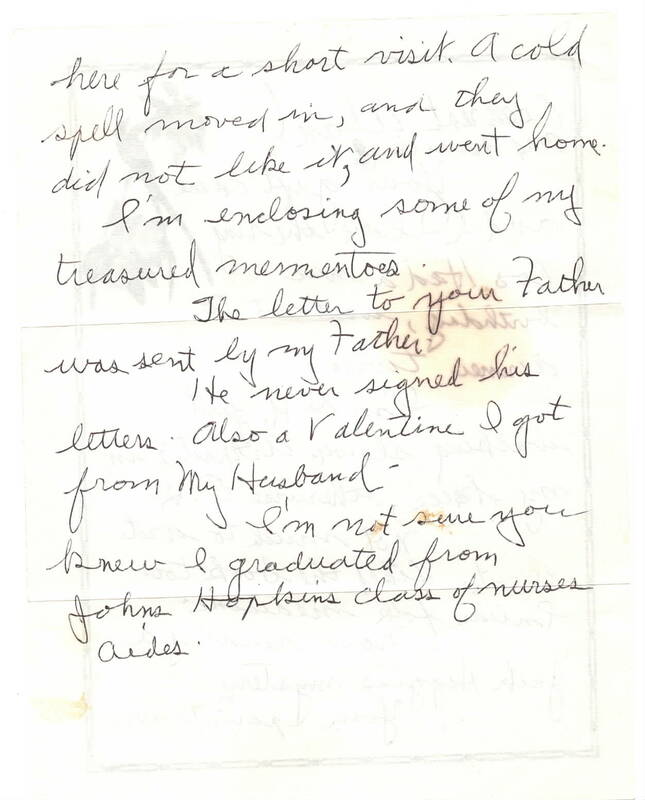 Page 1 of grandma’s letter, mostly a telling of what she had been doing. 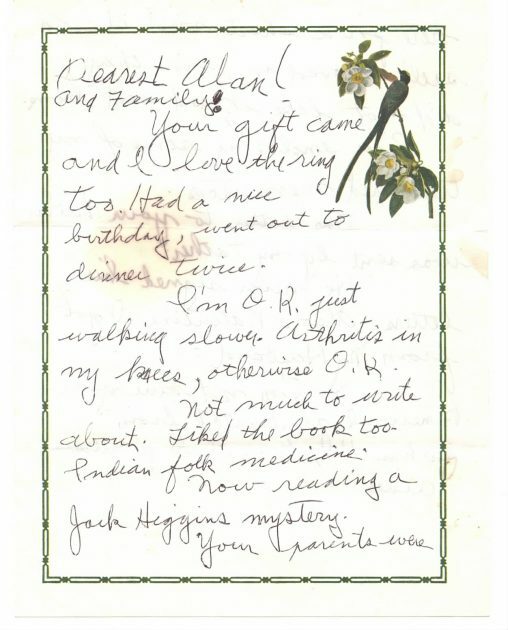 Page 2 of grandma’s letter from 1999. 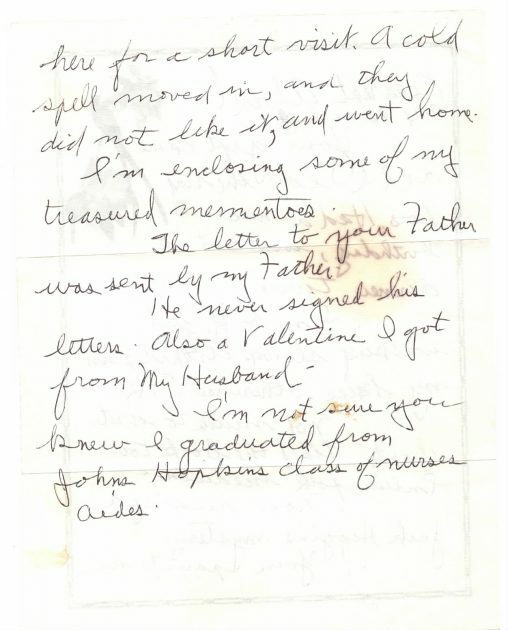 She mentions a letter to my father from her father- I am pretty sure I have this in my Dad file. I think it was some kind of re-assurance when my Dad dropped out of university. “Also a Valentine I got from My Husband” — I hope I have that one too. I’m not sure you knew I graduated from Johns Hopkins class of nurses aides. Actually I forgot this. I vaguely remembering stories that she had volunteered at hospitals in Baltimore. I have this photo of her dated 1946, again dressed up, and out somewhere– still boggling that she is younger than I am now. How does one imagine one’s grandparents as young adults? Grandma in 1946, that would make her 41, much younger than I am now. Or here in 1955, a photo labeled “Ridgewood Avenue”, in the Liberty Heights area of Baltimore, the house my parents lived in when I was born, but we moved when I was only 2, so I only have photos for memory. She is still younger than me. She is a widow. That looks like my Dad in the background fiddling with the record player. I might have some of the books on the shelf That old TV made it to the house I grew up in. Sitting on top is a photo of my brother David that is now on my wall. That chair she is sitting on? Those made it to our house, eventually I may have had them in the apartment I lived in after graduating college. I go through this to reinforce my only memories which are scattered and really lack most of the narrative resolution (in terms of the amount of information density) to do more than pull out scattered details. But I have this envelope, which she held in her hands, struggled to write my name and address on, and share with me. I found it interesting, that in 1999, she sent me a photo that to her was “then and now” and for me, now, it is then and even a more faded and distant then, a then that was long before before me and keeps receding deeper into then-ness. What are the treasured memories we enclose for others? And how? But the thing I never ever had to wonder about was the reliable force of love this woman was for me. It was beyond question that she, as well as my parents, my sisters would do anything for my good. All I can do is put my thanks, and love, to you, Grandma, out into the universe. Top / Featured Image: A scan of a collage of photos my grandmother mailed to me in 1999. As if it were ever a possibility, I shall license them with a Creative Commons Attribution (CC-BY) license. Great memories! Too bad that ring was stolen in her last days at the nursing home. Do You Own What You Share?